In any association, good ideas are never in short supply. But turning those good ideas into real accomplishments requires building and sustaining organizational momentum. Here are three things your association can do to increase its momentum and ensure your organization remains thriving and relevant in the years to come. 1. Become a staff-driven organization. The role of the Board of Directors in an association depends on a lot of different things, including the organization’s history and—most important—the individual personalities of board members (especially officers) and staff leadership (especially the CEO or Executive Director). But generally speaking, board members should not be the driving force behind specific projects or initiatives. Board members should hold staff accountable for performing that role, but they should not be doing the work. Of course, in small associations board members can actually be involved in more operational roles—but in an organization that has staff to perform a specific function, board members should step back and hold staff accountable for doing their jobs. Because even the most engaged board member is serving a temporary, part-time role. Some association initiatives take years to accomplish, and may only become reality under an entirely different (or mostly different) board than the one in place today. Associations can struggle with innovation. The phrase “Because that’s the way we’ve always done it” is said more often in an association than in any other organization I’ve been around. There are reasons for this. “The way we’ve always done it” might have been invented by a well-meaning board member in a time when the association had few other options. But you do need to be innovative—otherwise your association can flounder and eventually close shop (it does happen). 3. Let your employees use their talent on momentum-building projects. Even an association with a relatively large staff still has a relatively small staff. It means that a typical association needs to accomplish a lot relative to the size of staff it has. Because of this, you can’t afford to use valuable staff time and talent on mundane, non-value- added tasks. As a former association executive, I can tell you that few things are more mundane or add less value than preparing board binders ahead of a board meeting. All that time spent collating, stapling, and hole-punching could be used in a lot better ways. Because most associations have a small staff, that work often takes time away from higher-skilled employees who could be thinking of your next great member benefit or developing ways to increase attendance at your next annual conference. 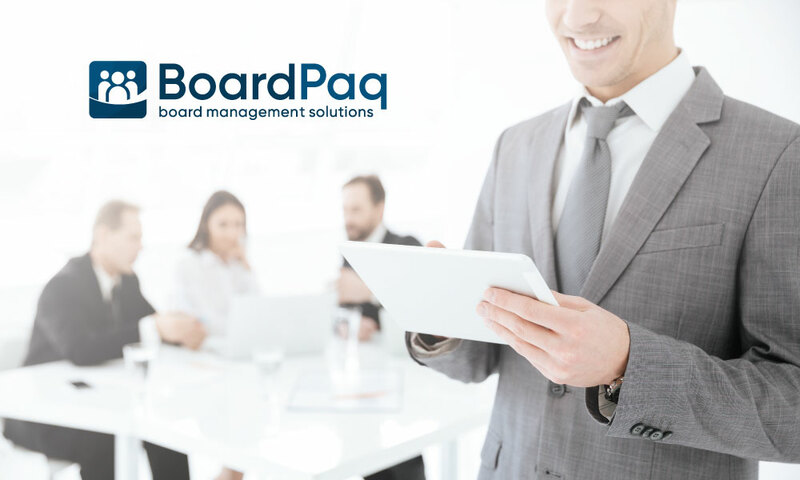 That’s why BoardPaq is the board portal of choice for a growing number of associations and professional societies. Partnering with BoardPaq frees your association staff to focus on the things that really matter—like making sure your organization is a relevant, powerful voice for your members.